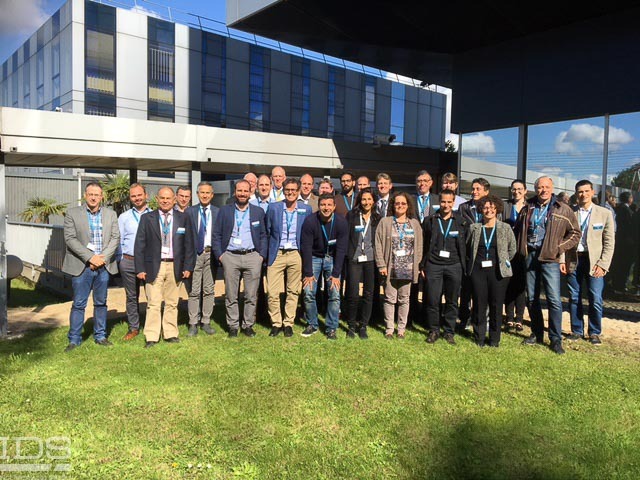 From 19th to 21st September 2017 the Kick-Off meeting for the ALADDIN project took place at the DIGNEXT premises in the Le Plessis Robinson area of Paris. ALADDIN answers the Security Call of the 2016–2017 H2020 work program, to provide technologies for prevention, investigation and mitigation in the context of the fight against crime and terrorism. The project’s main objective is to research and develop a state-of-the-art, global, and extensible platform to detect, localize, classify and neutralize, potentially multiple, suspicious light UAVs above restricted areas. This platform will be tailored to operational constraints such as easiness of use and deployment, quality of detection, or safety, in order to deliver unprecedented tools for operational support, including investigations, and training. ALADDIN will also assess relevant technologies, threat trends, regulations, and other important issues such as societal, ethical, and legal (SoEL) frameworks, in order to develop new knowledge which will be made available to LEAs and infrastructure designers, constructors, and operators through innovative curricula. IDS is one of 18 partners involved in the project’s implementation, and plays the challenging role of developing an upgraded radar sensor with enhanced functionalities and features. IDS’s Radar Laboratory and its Radar System Division will exploit their leading edge expertise in the design and manufacturing of radars for the detection and classification of unmanned aerial vehicles as already applied in the development of the IDS Black Knight UAV detection system. In addition to its contribution to the mission, operational and system requirements, and to the system integration, IDS leads the dissemination and exploitation work package and the quality control, risk management and contingency planning task in the framework of the project’s management. ALADDIN started on September 1st 2017 and will last 36 months. The project has received funding from the European Union’s Horizon 2020 research and innovation program under grant agreement N° 740859. 25 Oct: SISTER project: IDS is on the right track!